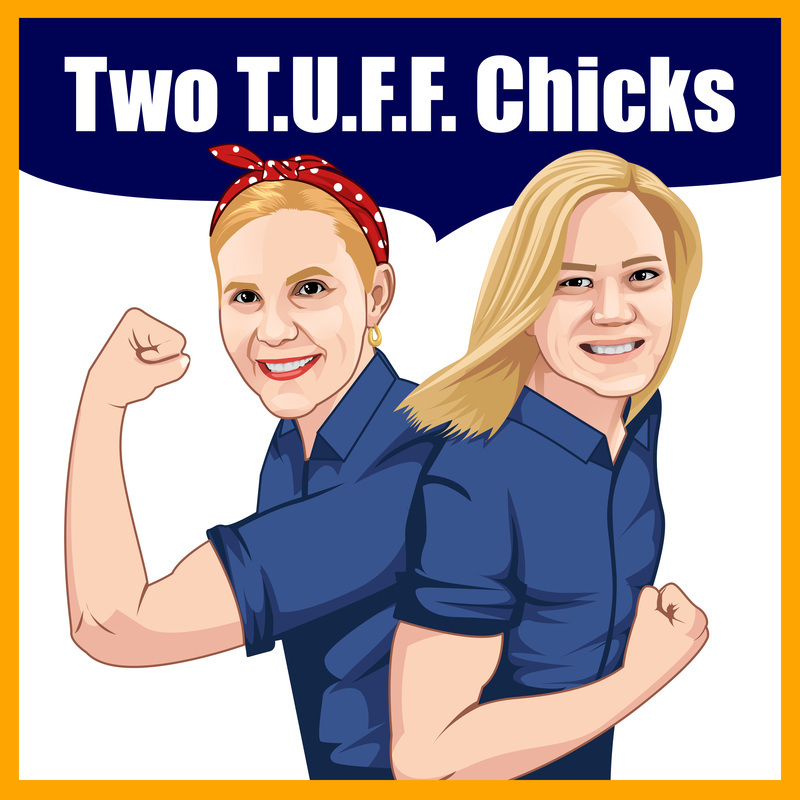 Congratulations again on becoming an affiliate of Two T.U.F.F. Chicks Mastermind products! In your email you should have received an affiliate ID code. You will need to use that every time you promote the products. There are three main products, 1. Pro, 2. Ace and 3. Basic, each with a different purchase link. Here are the three products and the purchase link. Be sure to change out your Affiliate ID (YOURID)! Use this embed code generator to turn any of these graphics into an embed script that you can drop onto a blog or Web page and hyperlink to your affiliate link! If you have ClickFunnels marketing software you can easily import our sales page and all graphics by clicking on the link below. 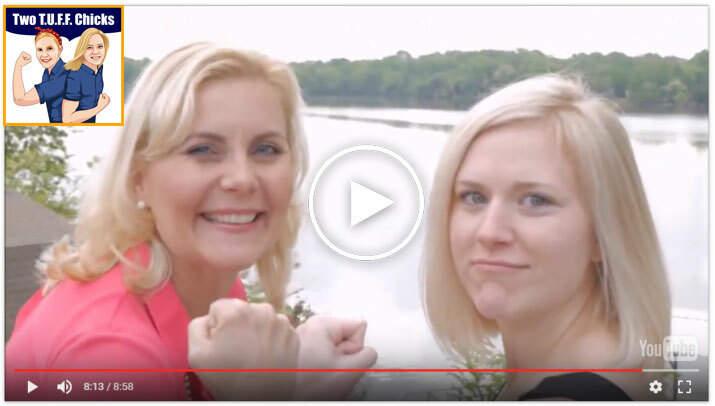 Clicking on the link will "clone" the sales page into your own account. Once cloned, you will need to edit the three purchase buttons at the bottom of the page so that they use your own affiliate links. Tip: Make sure you are already logged into ClickFunnels before you click the cloning link above. 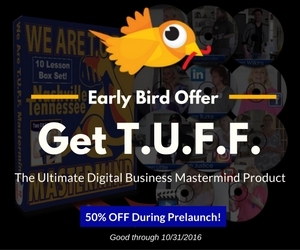 Use this one during our Early Bird prelaunch through Oct. 31, 2016 at Midnight CT.
You may recall that earlier this year I attended an exclusive digital business mastermind. The We Are T.U.F.F. Mastermind was held at a lakefront mansion in the Nashville area. It was there that I met with 6, 7 and even 8 figure earners who taught me the secrets to building an online business empire. Prior to the mastermind, I was missing so many pieces in my business that I didn't know where to start. Let alone how to set things up properly for success. I found exactly what I was looking for at the mastermind. I came away with a step-by-step process that simplified what I needed to do to be a successful digital business owner. In fact, the information I learned was so valuable that I requested recordings of all the trainings. Here's the thing, I got access for 50% off the package price. That's over $5,000 in savings! I sweet talked the Two T.U.F.F. Chicks into giving me a 50% coupon code that I want to share with you. Unfortunately, the coupon code is only good for a limited time. 2. At the bottom of the page you'll see three different packages. Choose the one that makes sense for you. Click here to get started and take advantage of this special offer!